The Sisters Legacy Statue is located along Lakeshore Drive near Hill Ave in Wascana Centre. 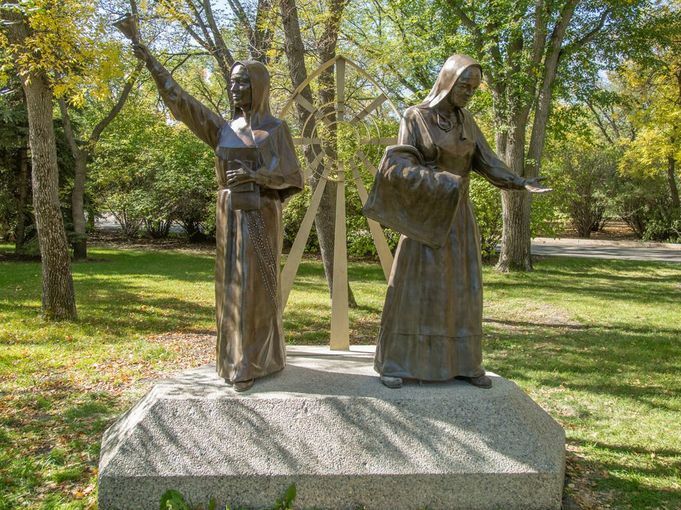 The monument, sculpted by Prince Albert artist, Jack Jensen, features two Catholic Sisters cast in bronze, one representing a teacher, the other a nurse. The installation commemorates the courage and commitment of religious women across Saskatchewan who established needed health services and education to their local communities, laying the foundation for modern day education and healthcare delivery in Saskatchewan.